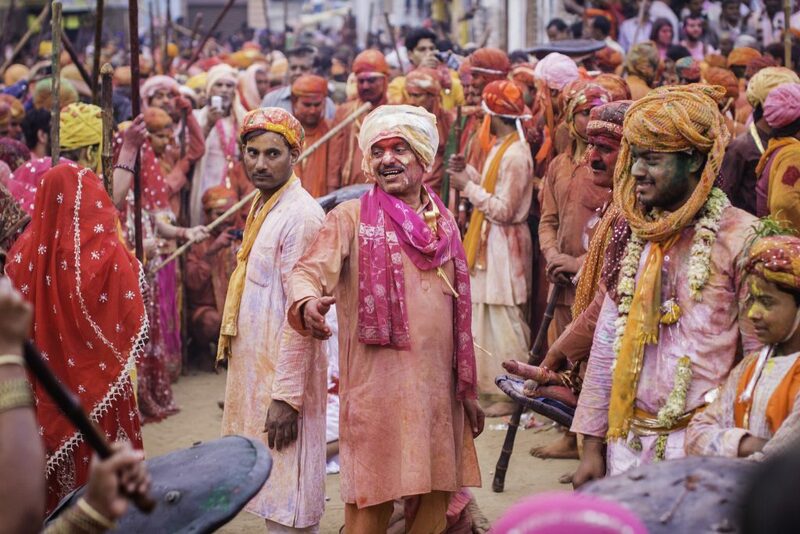 Barsana, Mathura: Barsana, the birthplace of Radha, is where the men from Nandgaon come to play Holi with the girls. Though, the speciality is that they are greeted with sticks instead of colours. Hence, Holi here is known as the ‘Lathmaar Holi’. 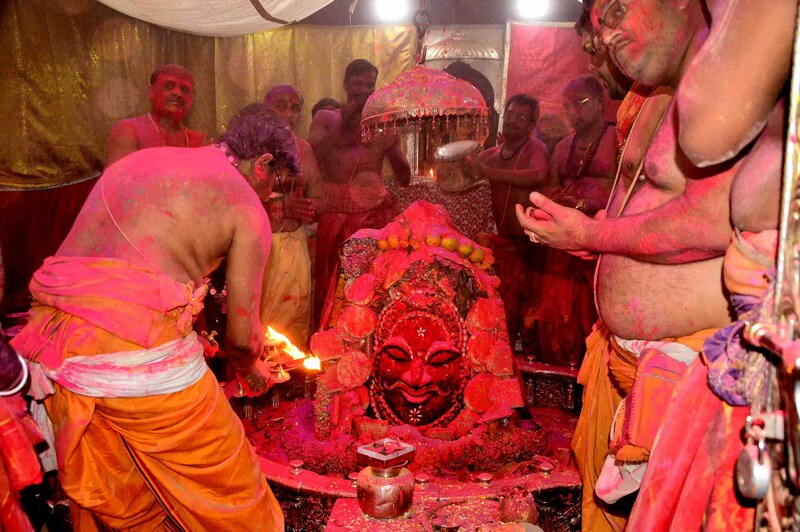 Thomas Cook offers this special Holi trip to Mathura which you just can’t afford to miss. Purulia, West Bengal: Holi in Purulia is celebrated with coloured powder and the traditional Chauu Dance. The Dance is something you wouldn’t have seen before and you should not miss. Anandpur Sahib, Punjab: Holi in Anandpur Sahib is not all about colours but more about physical activity. They celebrate the festival with an excellent display of martial arts and physical agility. It is indeed a visual treat to watch these events! Varanasi: You have to be in Varanasi to experience the strong vibes touch your soul. The Holy place is perfect for Holi. One should definitely take advantage of our Varanasi Holi Package. Udaipur, Rajasthan: A Royal Holi celebration awaits you at Udaipur! Enjoy the glorious procession of horses as the Mewar Royal Family heads to Udaipur. The procession takes place on the night before Holi, after which the city comes alive with colours in a gorgeous fun fare! 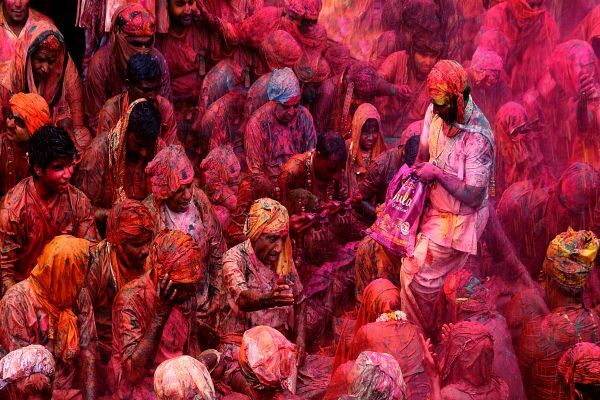 Mumbai, Maharashtra: Live the celebrations of Holi to the hilt, in the City of Dreams. In Mumbai, you will be welcomed with overflowing colours and pumping music at every street. Enjoy the ultimate Holi celebrations here! Jaipur, Rajasthan: Holi in Jaipur is a unique experience in itself. They have elephants as a part of their festivities and it is beautiful to see them decorated with garments and colours. The celebrations do include an Elephant pageant contest and tug-of-war. A Holi lover would definitely enjoy the Jaipur Holi Package. Goa: While you escape to Goa for a vacation, The Holi celebrations here are sure worth a visit. Holi is known as ‘Shigmo’ in Goa. So enjoy the celebrations which include bands, parades and nighttime musical fares through Goa Holiday Packages. Hampi, Karnataka: Experience a heritage Holi in Hampi! Be mesmerised as the heritage monuments of Hampi turn colourful on the day of Holi. Hampi celebrates Holi for 2 days with colours and drum beats. 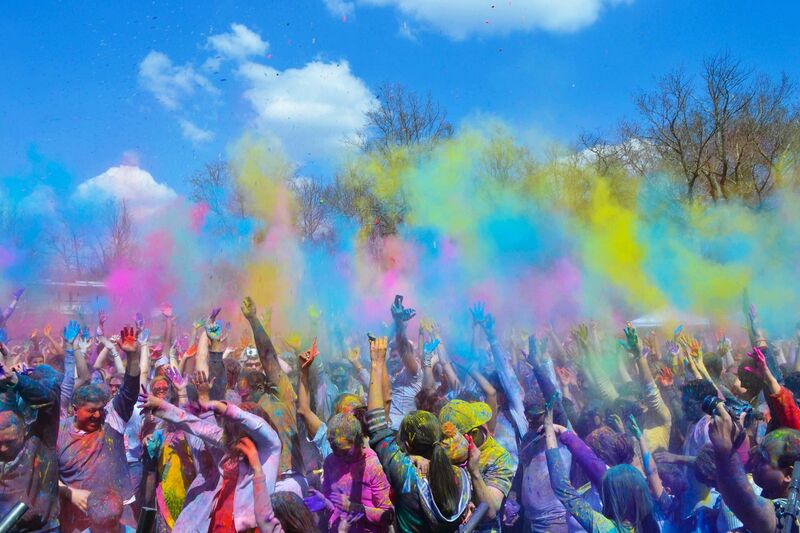 Indore, Madhya Pradesh: Dance your heart out in the streets of Indore, as that’s how they celebrate Holi! The entire City comes together at one place as they dance till they drop. If you love the festival of Holi, you should definitely plan to experience it one of the above destinations. Add a special splash of colour to your Holi by enjoying special packages made for the occasion. Holi is the festival that the people of India await and love, to the fullest! 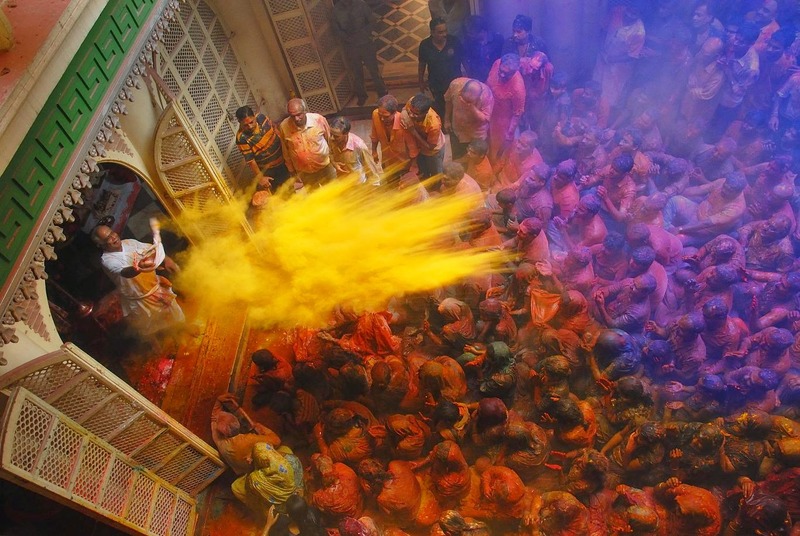 Here are the top ten places to celebrate Holi in India.